Let us introduce you to one of the largest online sportsbooks worldwide – Pinnacle Sports aka Pinnacle. 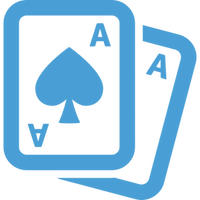 This online gambling website is owned by Pinnacle Sports Worldwide and was found in 1998. Since then it gained a lot of popularity and managed to reach the top fully licensed sports betting providers. Today the company is serving more than a hundred countries on various continents, and the headquarters of the bookie is located in Curacao. 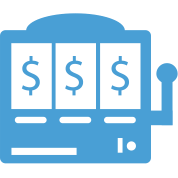 United States is not among the countries that can take advantage of the bookie’s gambling platform. Pinnacle Sports has a license number 8048/JAZ2013-013 issued by the Government of the Netherlands and this authority also has the responsibility to regulate the online betting giant. One of the most strict rules issued by the government is that Pinnacle Sports always keeps enough funds to cover any potential winnings for its clients. 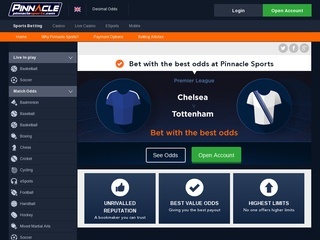 Pinnacle Sports is one of the most respected online bookmakers in the industry as it was the first company to introduce a reduced margin pricing model aka reduced juice. Another great achievement by the online bookie is their eSports market. Pinnacle Sports was one of the first among its global competitors to introduce this niche and develop it. As a trustworthy and well established online betting provider, Pinnacle Sports offers an extended range of sports markets to its clients. Their offering is covering about 40 different sports, as well as many other additional markets such as weather, awards, politics, and entertainment. Since 2010, the online bookmakers also provides one of the finest platforms for eSports gambling, which quickly turned out to be an amazingly profitable venture. The website is famous for their Arbitrage Friendly policy. They claim that they pick the right odds and not the players so basically it is the only one platform which allows Arbitrage. Other well-developed services provided by the company are their both live and standard casinos. Any player can find various games there and the most famous ones are roulette, blackjack, slots and video poker. Pinnacle Sports also support all their markets and games for mobile users. The option for live betting is also available for every customer. However, live streaming is still not included in the services provided by this large online bookie. Phone betting is also possible with a minimal amount of $100. Pinnacle Sports has the reputation of the bookmaker with the best odds. It is not the easily obtainable title, and surely most of their offering is holding the highest odds among the competition. The supported format is in EU and US standard. Minimum wagers go at $1, and the upper boundary can vary. The maximum amount of a wager can skyrocket to $750 000 on some sports. Take note that the odds given by Pinnacle Sports are theirs and the limits are set once the match starts. An online account history with every single bet is also provided by the bookie. The football betting enthusiasts can enjoy various betting possibilities in matches. Pinnacle Sports offers under/over, money line 1×2 and handicaps. Unluckily, combined bets are not widely implemented and only appear on the main markets. A trustful organization like Pinnacle Sports is very serious about security and employs a strong SSL encryption on their servers. They have certificate provided by Network Solutions and perfectly protected databases. All sensitive information is private and well secured. As a leading online gambling company around the world, the bookmaker supports 19 different languages. The customer care service is also on a very high level. The support team is quick to address any issue by phone or email. Live chat support is not available at the moment. Pinnacle Sports supports a wide variety of payment methods of different kinds. Deposits have minimums, which start from $10 and go up to $50 and almost all of the options are free with some exceptions. On the other hand, withdraws are charged with different fees, which mainly depend on the payment method. There are also limits on the amounts requested for cash out. They may vary from $200 to $60 000 (with Skrill). Fortunately, all deposits and withdraws are instantly made in real time. Customers are also free to review their transaction history anytime by logging in their accounts. 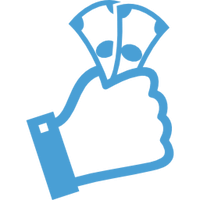 When it comes to bonuses and loyalty programs, things are little different with Pinnacle Sports. This online bookie has quite an unique approach to his customers, and it doesn’t offer any promotions to the audience. However, they insist that gambling with them is a bonus itself called Low Juice. Pinnacle Sports offer the best odds in the industry and guarantee that any professional player can potentially earn far more money than anywhere else. The bookmaker also states that they are not involved in any tricky bonuses, misleading promotions, and other marketing tricks. There is offer 0.3% Casino Cashback which is quite attractive.